BitDefender has recently launched their Total Security 2011 suite for Windows, which offers protection against not only the latest viruses, but also spyware, phishing and identity theft attacks too. With a competitive security market full of really great security solutions, though, can BitDefender’s offering stand out above the rest? Let’s take a look! 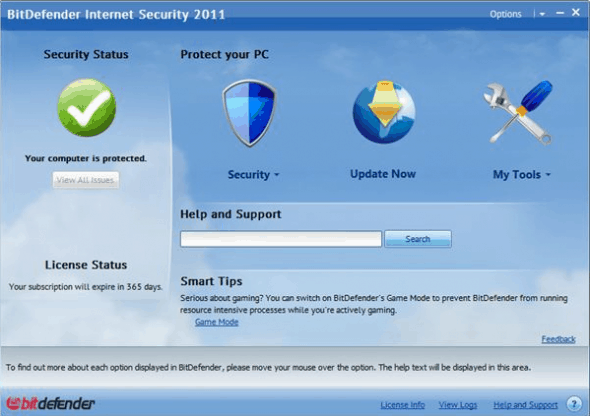 The installation of BitDefender Total Security 2011 is simple, and shouldn’t take too long on most machines. You’ll need to input an email address during installation though, which is a slight annoyance (yes, I’m one of those lazy users who just wants to click ‘Next’ a few times and have everything ready and waiting for me at the other side). I noticed that a reboot wasn’t necessary after installation either, which is always nice. Once installation has been completed, you will notice that anti-phishing toolbars are included for your browser as well. The user interface of BitDefender’s Total Security program is very simple and easy to navigate for first time users. There are few hidden menus or complicated additions, and this makes for a great user experience. On the main window of the application, you can view the current security status of your machine on the left hand side of the window, which will tell you if your computer is fully protected. In addition to this, you can view your current license status underneath the computer security information, which will tell you how long you have left on your license for protection. The main section of this window is dedicated to keeping your PC protected, as it should be with a security program! There are three large buttons which lead to your security centre, where you can scan your machine and keep track of any malware on the system; your ‘Update Now’ window, which will check for the latest updates for your virus database and update it if necessary; and the ‘My Tools’ section which, you guessed it, is a collection of various other tools included with the program. When performing a virus scan on your machine with Total Security 2011, there are a few steps that you’ll go through. The first step is choosing what you would like to scan. You can choose to scan your whole computer, or only certain directories on your computer if you prefer. Obviously, it is more secure to scan your entire machine, but if time is of the essence then you may want to direct a scan to a folder where you download all your content, or just to a file that you have downloaded off the internet and are suspicious of. Once you’ve told Total Security where to scan, it will perform the scan on the selected folders and then give you the results of the scan. 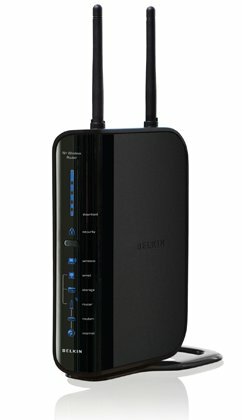 A typical system scan didn’t take too long to complete, and was comparable with an application such as Norton 360 v4 Internet Security Suite in its speed, which is good to note. Whilst operational, BitDefender Total Security was also quite light on RAM usage, often hovering just over 30MB of RAM, and dropping significantly when idle. I used a test machine to run Total Security, which was loaded with a number of different viruses, all of which were caught by the security software. Upon finding the results, you can choose to resolve the issues, and then you’ll be presented with a summary once everything has been cleaned up! When testing the program, I found Total Security to be a very capable piece of software. I was particularly impressed by its light footprint on my memory (the machine I tested it on had only 1GB RAM) and CPU during scanning compared to other programs, too. If you want to purchase BitDefender’s Total Security 2011, you can download a copy from their website for £39.99.